On first listen, the EP: ‘Cave Of Swimmers’ introduces catchy melodies, pounding bass lines, innovative guitar riffs and rather impressive husky vocals; a wonderful blend of talent from the young quartet. Grace, the first track on the EP opens on a strangely infectious drumbeat, a beat that causes the head to bob and the foot to tap. After the minute and a half introduction the roaring and grisly vocals step in; Kelly Jones instantly appears in my mind. The sound is so mature you almost forget you’re listening to four teenage boys. Cave of Swimmers is the second track on the EP that immediately explodes into a memorable guitar hook and a mash up of drumbeats. The almost chaotic opening and alternative nature of the beats makes you immediately listen up. I can’t help but lean towards that Stereophonics ‘anthem’ type vibe yet again, with a bit of the Arctic Monkeys thrown in for good measure. Eyes Open is the third song on the EP Cave of Swimmers. Eyes Open unveils itself as a lot more raw than the other two songs, that ‘in a tin can’ kind of jumbled sound is definitely a positive. The rhythmic fires of electric guitar continue throughout, never allowing the song to soften and fiercely overlapping the vocals. Finally there’s the fourth track, Out Of The Picture. The mystifying opening is very different than the other 3 tracks on the EP and definitely sends that ‘alien invasion’ shiver over your body… once that steady yet catchy beat kicks in again we realise where we are. The euphoric sound is ensnaring in Out Of The Picture as the lead singer sings with such conviction, “I just can’t let you in”. The passion, catchiness and tightness of the band is so apparent, especially as the EP progresses. 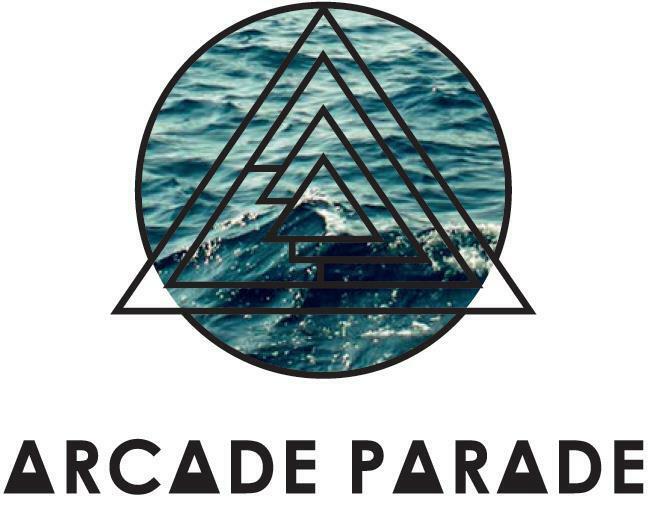 All of the ingredients are there; it’s just up to Arcade Parade to separate themselves from the rest of the ‘indie’ bands. They’ve definitely got the goods, they’ve just got to use it right.